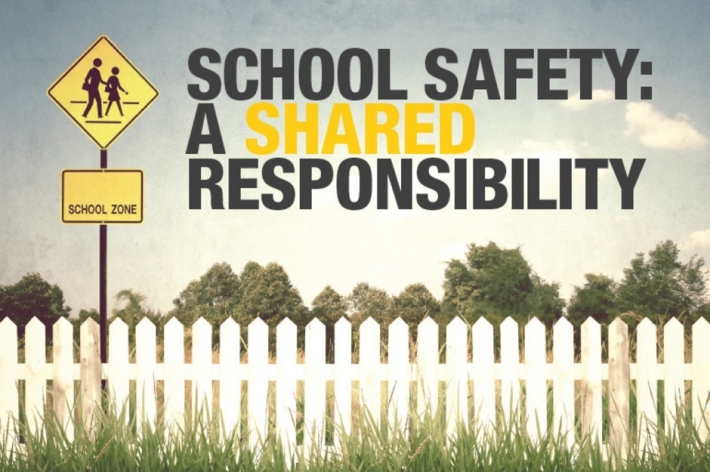 School Safety is a shared kuleana among all. Everyone has a role to play in keeping our keiki safe. S.A.V.E. 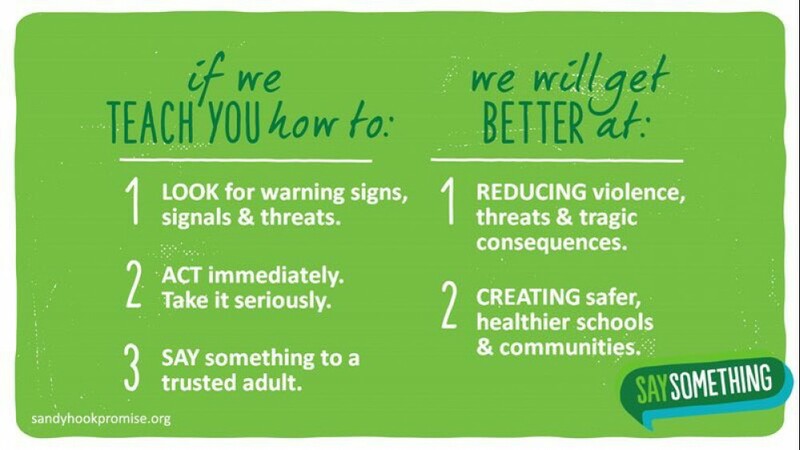 promotes a message to #SaySomething to prevent tragedies like Sandy Hook from happening ever again. 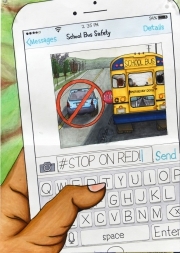 Kapolei Middle School student Branden Pagurayan created the poster for the national #StopOnRed National Bus Safety poster. Stomp Out Bullying is encouraging anyone who is experiencing being bullied to report it. Thatʻs the only way weʻll be able to change the culture. Each year, the third week in October is designated as Safe Schools Week. The National School Safety Center (NSSC) sponsors the week as a national initiative with state govenors, superintendents, and a number of organizations with a vested interest in student safety. NSSC's goal in this campaign is to motivate key education and law enforcement policymakers, as well as students, parents and community residents, to vigorously advocate school safety. School safety includes keeping campuses free of crime and violence, improving discipline, and increasing student attendance. Schools that are safe and free of violence, weapons and drugs are necessary to ensure the well-being of all children and the quality of their education. Safety is the highest priority for Kamehameha Schools. Safety is also a shared kuleana in which everyone has a role. So opportunities to talk more about safety and continuing to raise awareness about safety are critical. As KS formalizes its safety plans and procedures, the organization has taken several steps to make safety a priority. Steps include the creation of the Mālama Ola student health, safety and well-being division and expanding the availability of the Hiʻikua Student Helpline reporting service to serve Nā Kula ʻO Kamehameha and Kūamahi community programs. KS continues to look at global best practices in maintaining and enhancing a safe environment. National efforts like Safe Schools Week are an opportunity to continue the conversation about true student safety and raise awareness to change attitudes and behaviors, prevent injuries, increase student well-being and employee morale and productivity, and create an environment where employees are motivated and empowered. Locally, the Hawaiʻi State Department of Education is highlighting school bus safety. 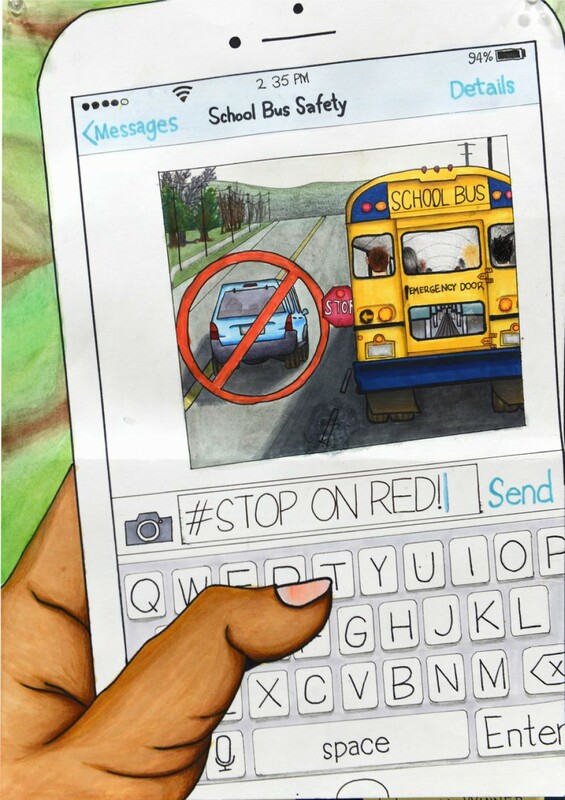 This year is special as a Kapolei Middle School student had his artwork featured on a national school bus safety poster. This week is also National School Bus Safety week. The National Education Association has compiled a number of resources for educators to incorporate more safety learning into the classroom and for parents to work with their keiki at home. StopBullying.Gov highlights a number of issues related to bullying at school and beyond including how to recognize and diffuse cyberbullying. The month of October is Bullying Prevention Awareness Month. For National Bus Safety Week, the National Association of Pupil Transportation, has put together several resources to compliment their #StopOnRed campaign this year. S.A.V.E. Students Against Violence Everywhere is using Safe Schools Week to forward their #SaySomething campaign which reinforces the power young people have to prevent tragedies and save lives when they Say Something to a trusted adult. If you have any thoughts, concerns or ideas about creating and maintaining a safe environment at school, please share your manaʻo. If you have any specific incidents or concerns where you think the safety of our school environment has been compromised, please report it to a principal, counselor or via our Hiʻikua Student Helpline reporting service at www.ksbe.edu/hiikua. After a pilot with KS Maui, Hiʻikua Student Helpline is now available for all Kamehameha preschool and K-12 campus students. Education safety specialists provide students and staff with training and guidance on proper ways to handle tools when working on the ʻāina. In Action 1 of our FY 2016-17 Annual Plan, a focus on student safety and well-being is identified as an organizational priority, here’s why.